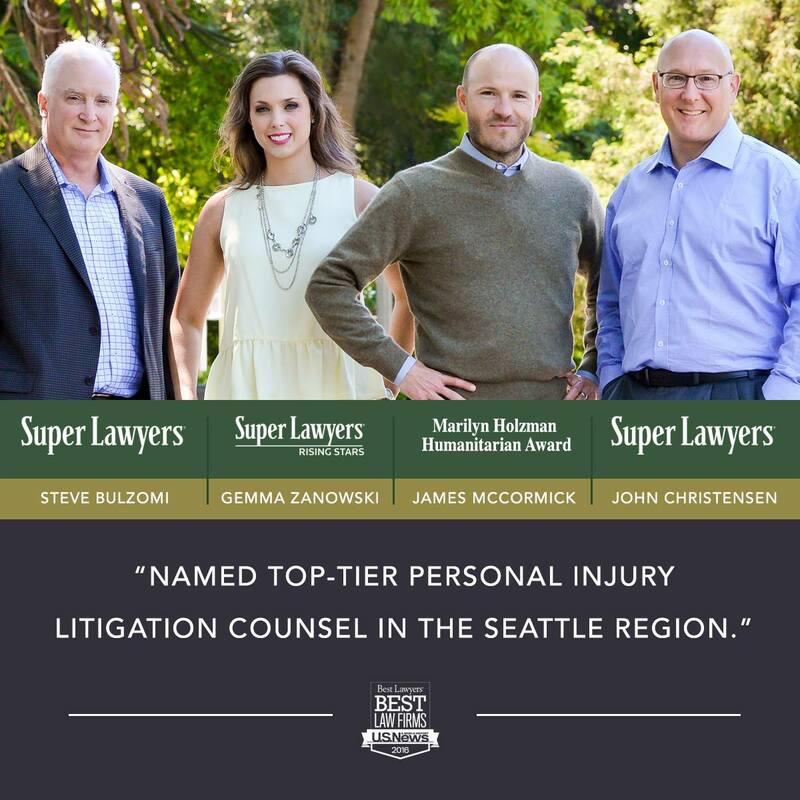 Evergreen Personal Injury Counsel attorneys Steve Bulzomi, Gemma Zanowski, James McCormick, and John Christensen were recently recognized with awards from Super Lawyers and the Tacoma-Pierce County Bar Association. We were also named by US News as one of the top-tier Personal Injury Litigation in the Seattle region. While we feel unspeakably honored to have many awards under our belt, our commitment to providing outstanding, diligent legal services stems for our passion for the law and legal system, not recognition or awards. In any case, we are so proud of the hard work and professionalism of our attorneys. We strive to continue the high level of excellence and service our community has come to expect from us throughout 2016 and beyond.